Marsha advises clients on issues related to trademark, copyright, internet, trade secret, and unfair competition law. Her practice includes counseling clients in the adoption, protection, and enforcement of trademarks in the United States and worldwide, and she helps clients manage the risk of doing business in an increasingly connected world economy. Marsha advises and represents companies large and small, helping clients clear and register new trademarks and service marks in the U.S. and across the world. She has extensive experience with international laws and manages diverse trademark portfolios for companies of all sizes. She also has significant experience in the enforcement of trademarks and has successfully represented clients in proceedings before the Trademark Trial and Appeal Board and in federal district court. As part of her practice, Marsha advises clients on the appropriate use of trademarks and copyrighted materials in advertising and on the internet, as well as on negotiating and drafting licenses, assignments, and other agreements relating to intellectual property. She also assists clients in registering and protecting copyrighted content. Before joining Moss & Barnett, Marsha practiced with a large national intellectual property firm. She is a member of the International Trademark Association (INTA) and formerly served on INTA’s U.S. Legislation Subcommittee. 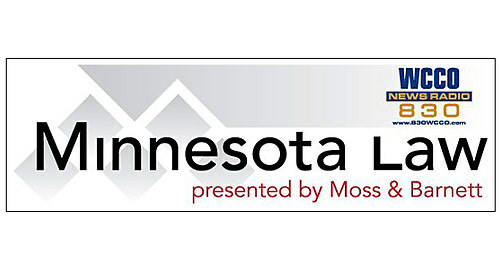 Marsha has authored articles on trademark and copyright protection and has appeared as a guest speaker on WCCO Radio on the subjects of trademark and copyright.